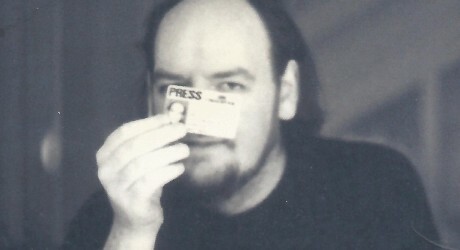 THE National Union of Journalists’ Edinburgh branch and Ian Bell’s family have together launched a new award today – to commemorate Ian Bell, the radical journalist and author who died in December 2015. Ian was a member of the NUJ branch. The prize is for an unpublished piece of 1,500-2,000 words in the critical style of Ian Bell, written in a style – taut, provocative but thoughtful – suitable for online and newspaper publication. The subject can be drawn from politics, culture, modern society, history, international affairs, Scotland, or related topics, and can be investigative reporting or informed commentary. Entries, together with name, date of birth and place of work/study (if any), should be emailed to hilaryhorrocks@btinternet.com by 30 November 2017. Entries will be judged by Iain Macwhirter, author and political commentator, The Herald and the Sunday Herald; Melanie Reid, writer and columnist, The Times; and Michael Gray, former reporter for CommonSpace. The winner will be announced in early February, and will receive a prize of £500 and publication in the Scottish Review of Books. Sean Bell, Ian’s son and himself a journalist, commented: “My father’s career in journalism began in the 1970’s, an often romanticised period, but still one that offered opportunities and avenues into the business which have steadily been closed off as the decades have passed, with ruinous consequences for modern journalism. “Today, young journalists – in Scotland and around the world – have little hope for steady employment, job security or even a living wage. “It is my hope that this new award will help advance the careers of a few out of many deserving talents who might otherwise go unappreciated. “Journalists, when given the chance to do what they are meant to do, are vital to the social, political and philosophical health of the nation, and we have ignored their plight for far too long. MEDIA RELEASE issued by NUJ Edinburgh branch. You too can share your stories (aka press or media releases), on this site. Email here for more information.